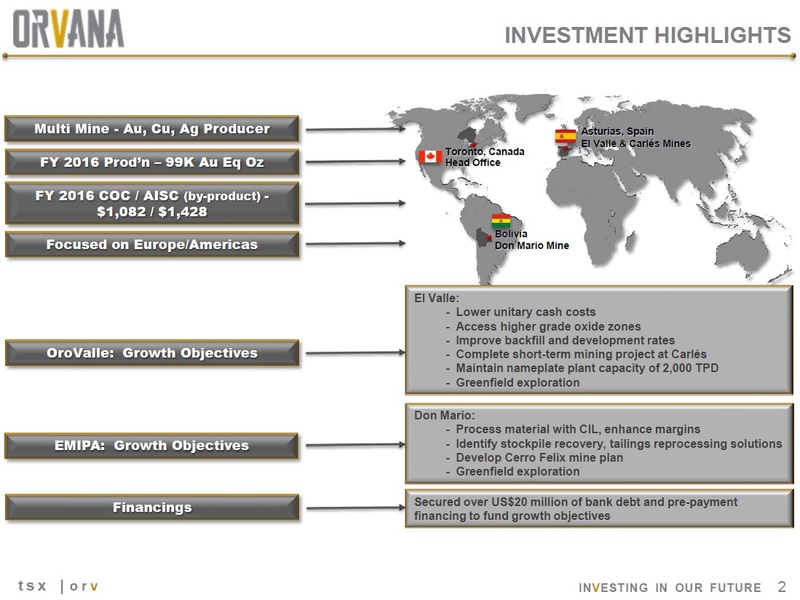 Orvana Minerals Corp. is an established mine operator with significant growth opportunities in Europe and the Americas. 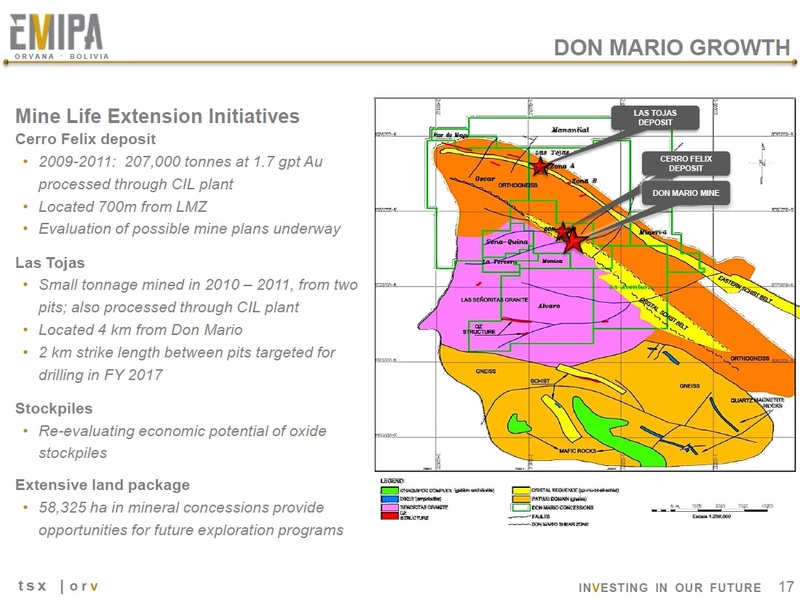 Operations include the El Valle and Carlés gold-copper-silver mines in northern Spain and the Don Mario gold-copper-silver mine in Bolivia. 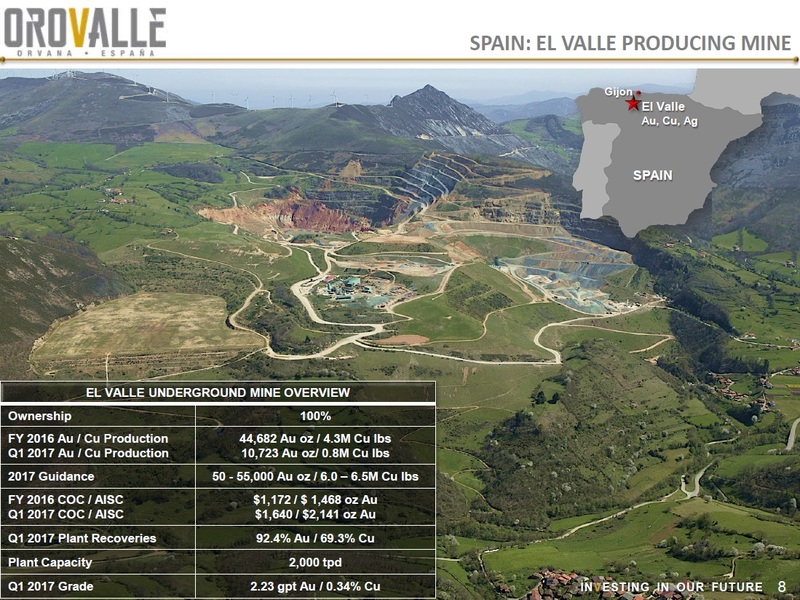 The El Valle/Carlés gold-copper-silver project is located in the Rio Narcea Gold Belt in Northern Spain and was previously mined from 1997 to 2006 by Rio Narcea Gold Mines. Rio Narcea produced nearly 1,000,000 ounces of gold and over 20,000 tonnes of copper prior to the closure of the mine. *Mineral Resources are inclusive of Mineral Reserves. 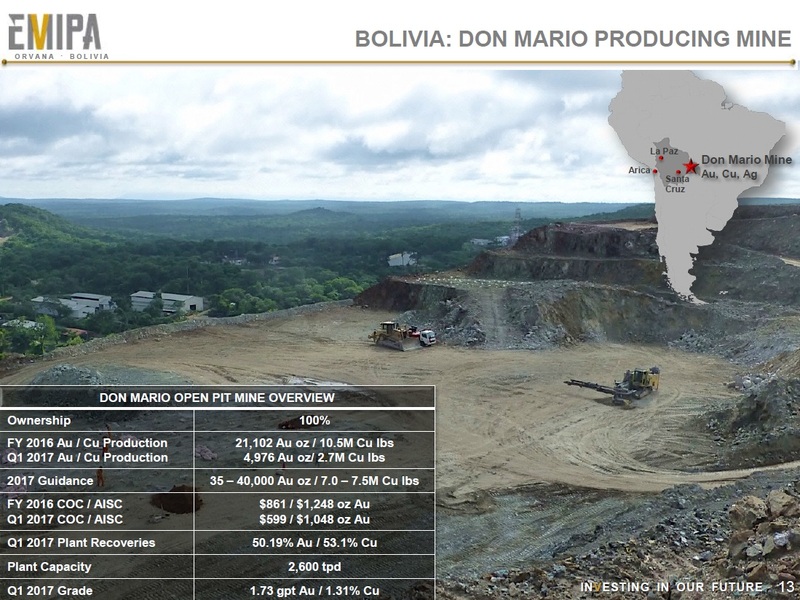 The producing Don Mario mine is located in the San Juan Canton, Chiquitos Province, Santa Cruz Department, in eastern Bolivia. 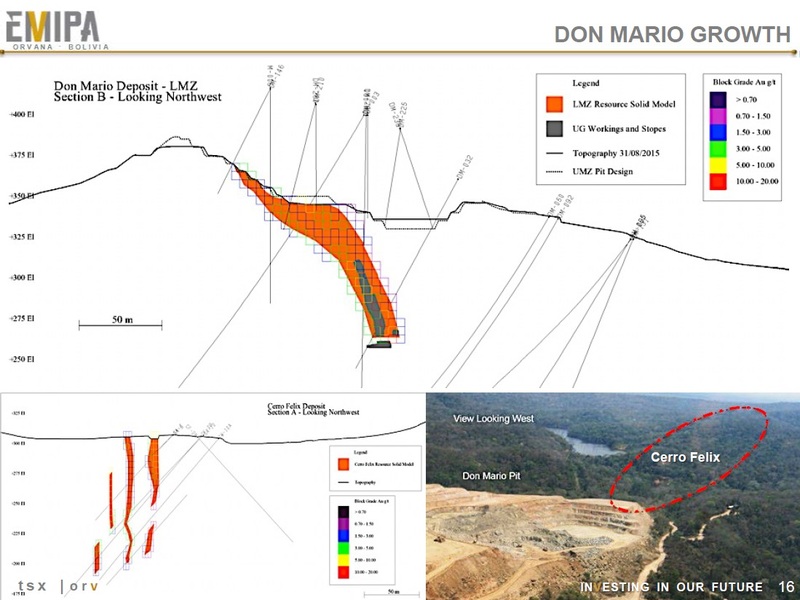 The Don Mario Mine consists of the Upper Mineralized Zone (UMZ), the Lower Mineralized Zone (LMZ) and the Cerro Felix deposits. 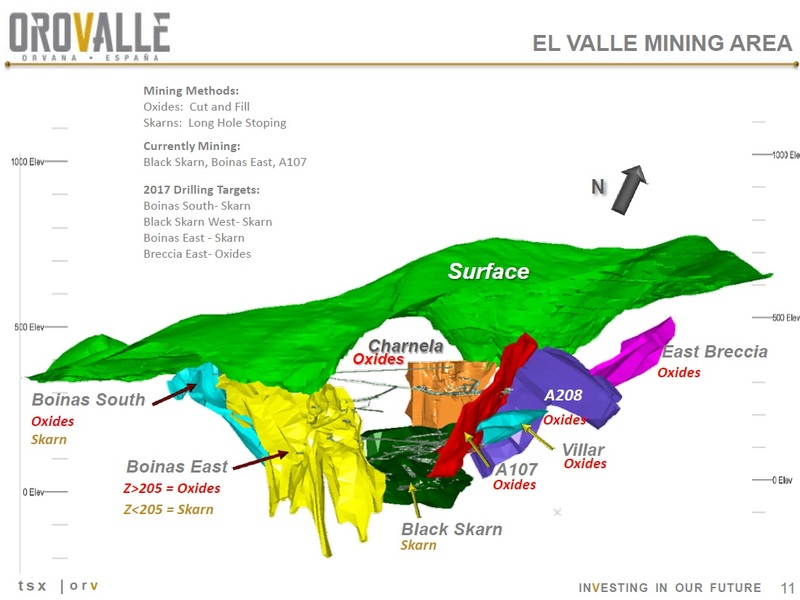 The Company continues to pursue its initiatives at El Valle and Don Mario on an accelerated basis in order to meet its objectives of optimizing production, lowering unitary cash costs, maximizing free cash flow, extending the life-of-mine of its operations and growing its operations to deliver shareholder value. Over 25 years mining sector experience. Chief Investment Officer of Minera S.A., Partner in Global Energy Metals Corp., Director of AQM Copper Inc. and Director and former President & CEO of First Point Minerals Corp. Formerly President & CEO of Minera S.A. Held senior positions with Gerald Metals, Rothschild and Coopers & Lybrand. Over 10 years senior management and mining financial experience. Executive roles including as CFO of Potash Ridge Corp., Iberian Minerals and Excellon Resources. Proven track record of debt and equity raising to support strategic plans. Over 20 years mining sector experience. Spearheaded business initiatives and provided operational support for international mining projects. 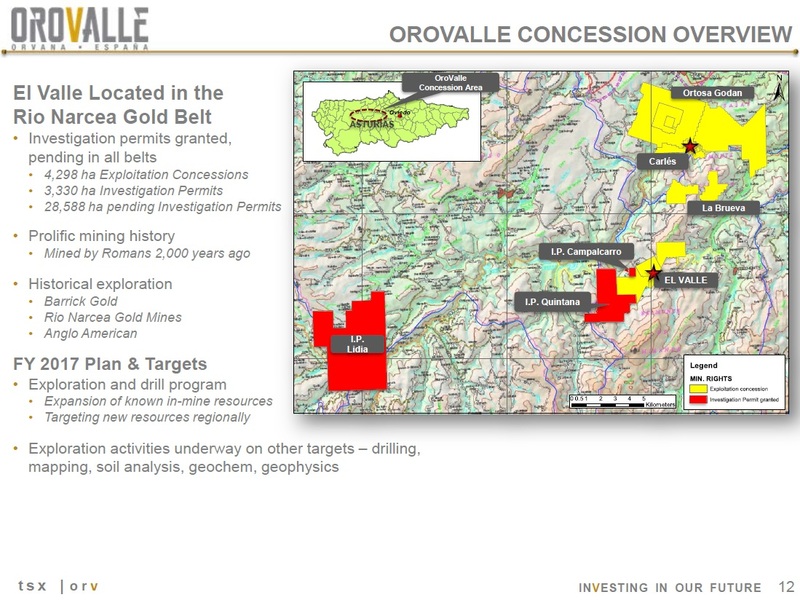 Formerly worked as an independent consultant in relation to gold and copper projects in a variety of countries and held positions with Newmont Mining. Please refer to Orvana's website www.orvana.com for complete biographies. On February 8, 2017, Orvana Minerals Corp. announced that at its annual shareholders' meeting held on February 8, 2017, each of the five incumbent directors as well as one additional director proposed for election by the Company were elected as directors of the Company.